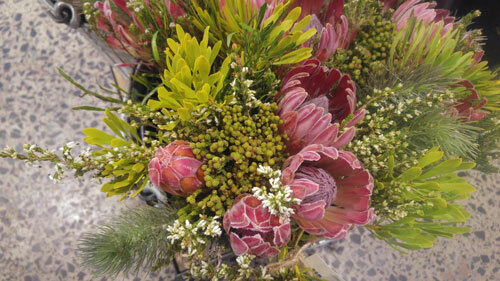 Protea Power: How Sustainable is the Cape Flora Industry’s Rapid Growth? South Africa’s Cape Floristic Region is an area of striking biodiversity containing 9000 plant species of which 69% are endemic. These include the iconic Proteas – the national flower of South Africa. Harvesting wild flowers from the landscape has been a noteworthy economic and cultural activity in the region for many decades. Indeed, during the colonial-era flowers began to be exported to Europe where they proved popular, especially as dried flowers in Germany. In the last decade the sector has begun to shed its image as a cottage industry and become a major player in domestic and international markets. 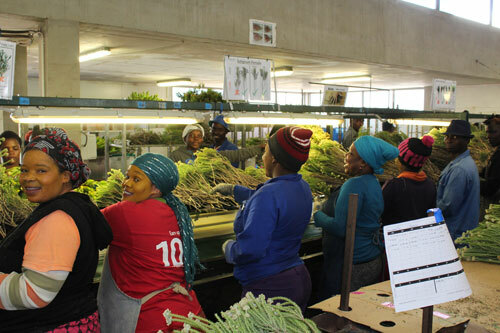 According to the industry’s marketing body, Cape Flora SA, the number of stems exported has more than doubled since 2011/12. In 2017/18 47 million stems were exported, compared to just under 20 million six years earlier. 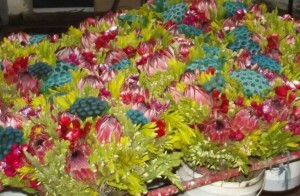 Most strikingly of all, the number of bouquets being exported increased has considerably. More than one million bouquets were exported in 2017/18 up from 300,000 a decade earlier. This growth in bouquets, which was initially driven by entry into the UK retailer market via Marks and Spencer, is highly significant as exporting bouquets rather than individual stems enables more value to be captured and jobs created within the region of production. The growth of the international bouquet market has driven an increase in quality as European retail consumers have high expectations in terms of the appearance, freshness and vase-life of their purchases. In order to meet these expectations there have had to be shifts in the management of supply chains and the design and working practices of pack sheds (factories where the flowers are processed). Stems need to be picked according to precise specifications relating to stem length, number of flowers and blemishes – not always easy for a product that comes from natural landscapes. Not all the flowers in a bouquet come from the wild. The majority of ‘focal’ flowers (the centrepiece in bouquets) are now cultivated in order to ensure quality and the availability of sufficient volumes. However, around half of all exported stems are still harvested from the landscape. Some of these are harvested from stands of ‘broadcast sown’ plants, whereby the landowner has augmented the natural plant population by sowing additional seed. There is debate in conservation circles about this practice and whether such stems should be considered as ‘wild’ or ‘cultivated’. The growth of the UK bouquet market has led to the development of other markets for Cape Flora bouquets – South Korea and China have been two areas of rapid growth and exhibit very different tastes in terms of the appearance of bouquets. The South Koreans have favoured bouquets heavily coloured with blue and purple dyes! The drive to greater quality has also led to a renaissance within the domestic, South African market. Five years ago Cape Flora was considered second-rate by consumers and retailers. That perception has changed markedly and the flower stands of major retailers such as Woolworths, are packed with bouquets and stems of high quality Cape Flora. 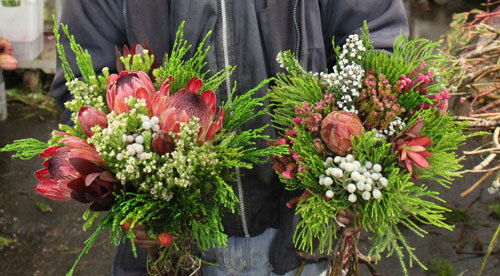 Florists have also seen an increase in demand for Cape Flora arrangements for weddings, which often prove to be highly lucrative. Whilst the industry has much to be proud of, there are challenges which need to be attended to. These challenges sit under the heading of sustainability. Climate change is a significant threat to the industry. Seasonal weather patterns are changing noticeably, as a result conservationists express fears about the future for the natural environment in the region. Events, such as the 2015-18 drought, impose stress upon natural plant populations. Of even greater short term concern is the spread of alien (non-indigenous) plant species within the landscape. Species, such as eucalyptus and acacia grow rapidly and can out-compete indigenous species. Many areas of the CFR are affected by alien encroachment, which also alters water budgets and natural wildfire regimes. 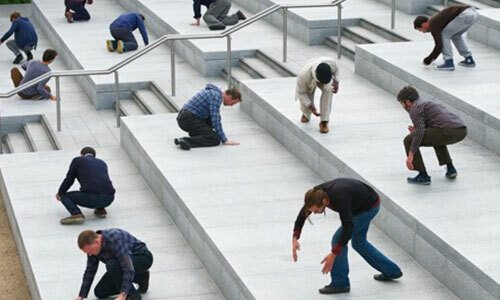 Human impact, of course, is another serious challenge. Much natural habitat has been converted for other uses. There are concerns about the regulation of wild harvesting itself. Wild harvesters require licences to pick and sell flowers and there are guidelines, enshrined within the Sustainable Harvesting Programme, about how harvesters should pick in order to maintain seed stocks. However, pickers are not always able to stick to the guidelines as their priorities are to deliver their orders and make a fairly remunerated living. This is not easy given the low price paid for some wild species and difficulties in accessing sufficient quantities in alien infested landscapes. If the market continues to grow rapidly then the pressure on natural populations can only increase. The Cape Flora industry has enjoyed a decade of unparalleled growth producing significant benefits for the main exporters and packsheds. Livelihoods have been maintained and enhanced for many people in rural areas where unemployment is a major problem. However, there will be significant challenges in maintaining growth unless concerted action is taken to ensure that the resource base upon which the industry depends is managed effectively. Developing a holistic approach to sustainability, and its three pillars of people, planet and profit, would be a wise course of action for industry stakeholders to embrace. Flower Valley Conservation Trust 2018 Sustainable Harvesting Programme. Van Deventer, G., Bek, D., and Ashwell, A. 2016 Field Guide for Wild Flower Harvesting. This blog is based upon research conducted as part of a 3-year project supported by WWF-SA’s Table Mountain Fund (TM5339). The project’s key objective was to examine the scale and structure of the wild flower harvesting industry within the Cape Floristic Region. The project was delivered in partnership with the Flower Valley Conservation Trust and Cape Flora SA.